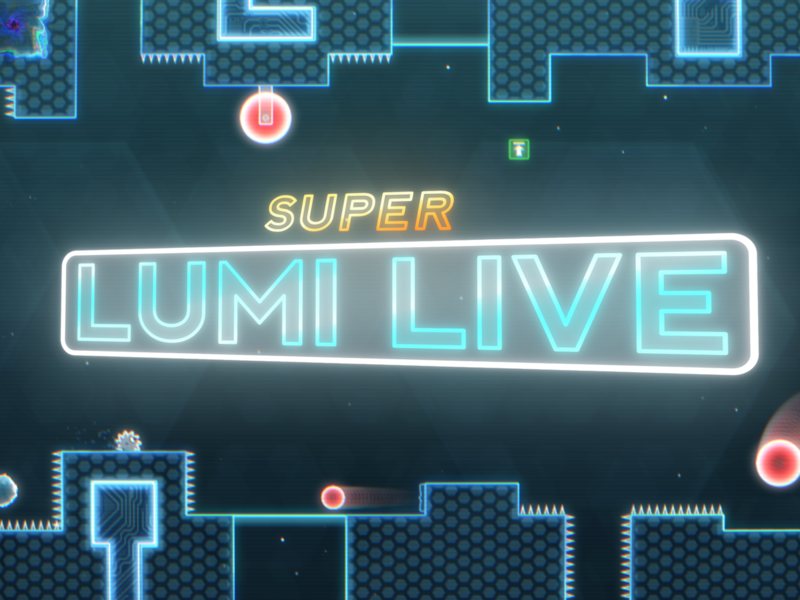 Super Lumi Live – New level clear screen and replays! 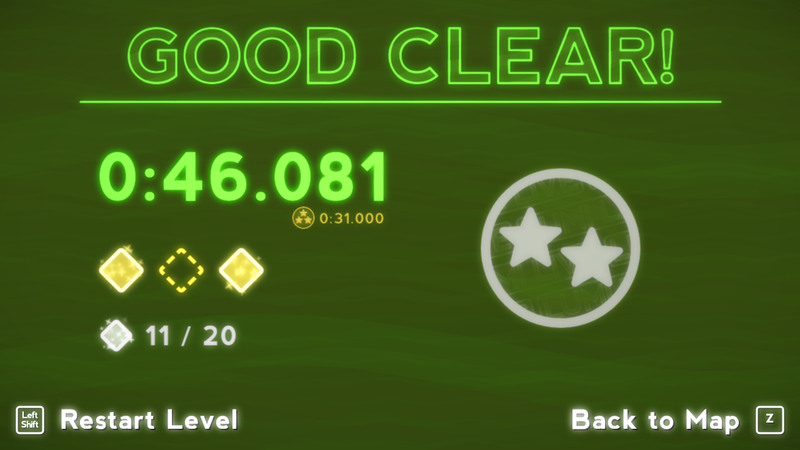 So the old level clear screen was overdue for a redesign and although the new one still needs some more polish, I really like how it turned out. The awards also had to be redesigned to 1, 2 or 3 star medals to fit with the theme better and the screen now uses the same shader as the world tiles which allows effortless variation across levels and cool looking overlays scrolling across text or medals. 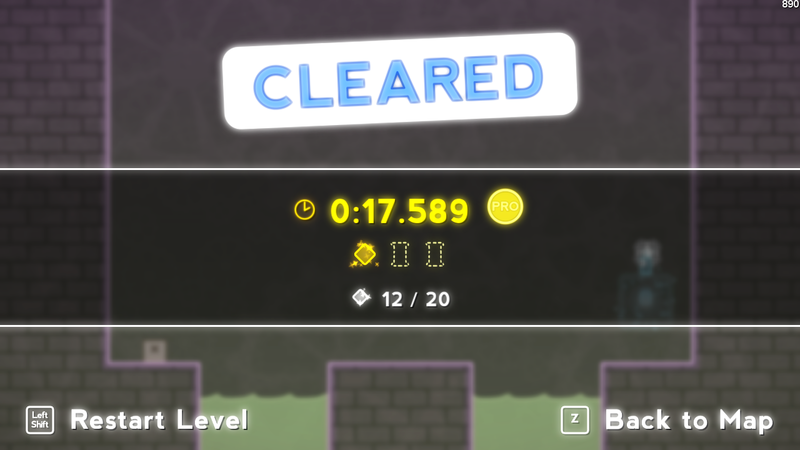 Finally, the medals will be less transparent when I get round to polishing the screen up as they currently lack a solid feel. The award system now gives you a 1 star medal if you finish a level in under 10 minutes (maximum time allowed for records but not gameplay) and 2 or 3 stars for clearing within set targets for each level. There are other medals to obtain also but that’s all I’m saying on that. Before I added checkpoints and exits to the game, the latter allowing for levels to connect to each other via doors etc.. I had a replay of your run play out behind the level clear screen UI. While both exits and checkpoints are more complicated to implement into replays I scrapped the idea under the assumption that in today’s world of free game capture software replays are mostly redundant. Saying that however, it’s always been a feature I wanted in the game and since I’ve made good progress recently in other areas, I’ve begun work on implementing it again in a more robust way while hopefully keeping file sizes low. I’ll probably revisit the level clear screen after I polish up a few levels for a preview build coming out within the month but next stop on the redesign train is the map screen. Fortunately, it doesn’t require much tweaking as it mostly looks fine so it only needs a little clean up but expect a post showing it off soon. Categories: Dev Log, Update | Permalink.